Step 1 Combine the chives and the cup of oil in a saucepan and gently heat to a bare simmer. Step 2 Remove from the heat, pour into a food processor or blender and process for 10 seconds. Pour into a very clean jar. Cool, cover and steep in the refrigerator for 24 to 48 hours. In Recipes-list.com we have selected the most viewed recipes from category - Sides Vegetarian . Enjoy the best recipes specially selected for you! 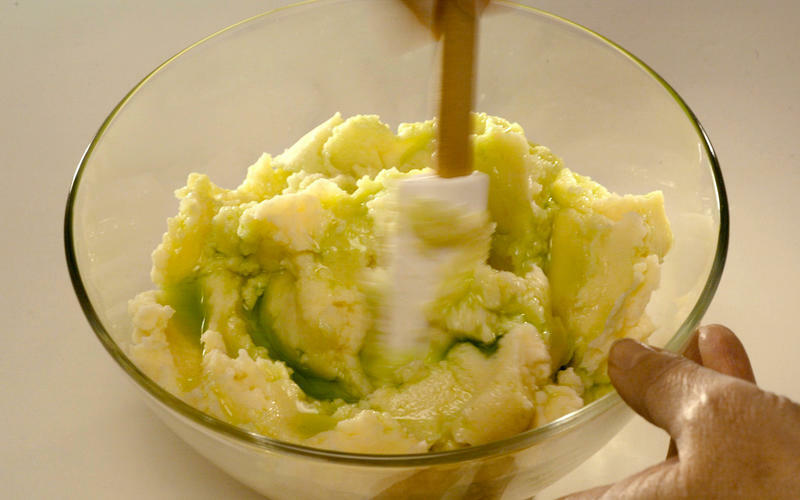 Pureed Yukon Gold potatoes with chive oil is the right choice that will satisfy all your claims.